Description: Zhilo's battle-hardened suit of blue and white plate. It has saved him from dozens of near-fatal attacks. May it do the same for you. 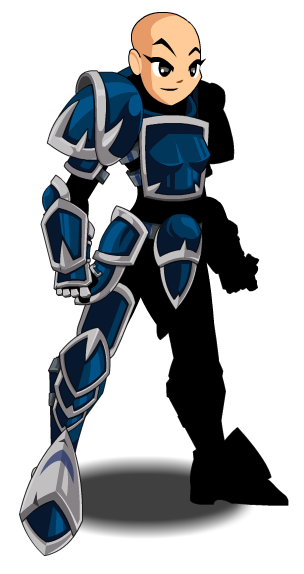 Previously called "Battle Tester Axe Master". 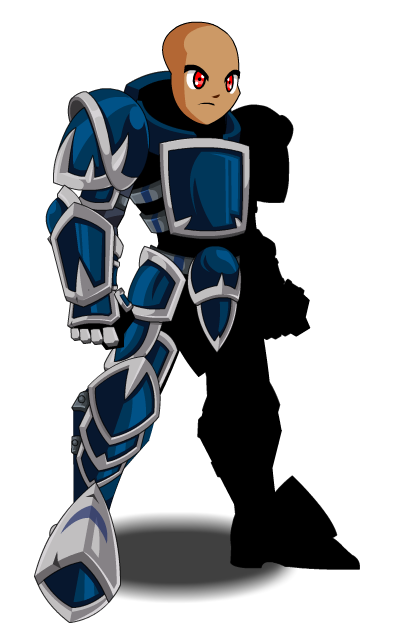 This item is themed from Battle Tested Axe Master Armor from Adventure Quest. Thanks to Aguila, Haileym1, PestyPearson and 1c3 r3b0rn.